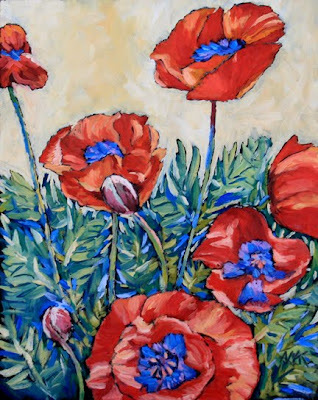 I love poppies, and could keep painting them. It must be their wonderful colors. I have some great soft salmon colors in my garden, too.